Last week I gave a keynote talk at Digital Print for Packaging 2016 in Chicago—it was a terrific event that clearly demonstrated the sector’s continuing shift to digital printing capabilities. What’s clear is the importance of new industrial digital printing capabilities is about much more than simply reaching performance and image quality parity with traditional industrial printers. As customer expectations for enhanced experiences and services around physical products continues to grow, and winners and losers are more and more determined by their full set of digital capabilities and strategy, Brands are increasingly looking to make their products smart. Internet of Things activities were initially limited to continuously-connected devices (cars, home monitoring solutions, etc. ), but the price of connectivity and smart packaging has declined precipitously, and Brands are now moving to enhance all physical products with a rich portfolio of functionality and applications using new data management capabilities. The final math from these broader digital and IoT trends is clear. Packaging and Printing providers have a rapidly growing opportunity to embed serialized physical to digital tags (QR codes, alphanumeric codes, hidden marks, smart ink, etc.) directly onto products and packaging. Given their position at the beginning of the value chain, Packaging and Printing providers can enable Brands and other ecosystem players to drive applications across the full product lifecycle by associating these tags with an equivalent digital identity managed by an IoT platform. Enabling Brands’ digital strategies and smart products represents a new strategic opportunity beyond traditional printing; and drives new services and margin enhancement opportunities for the printing and packaging sectors. 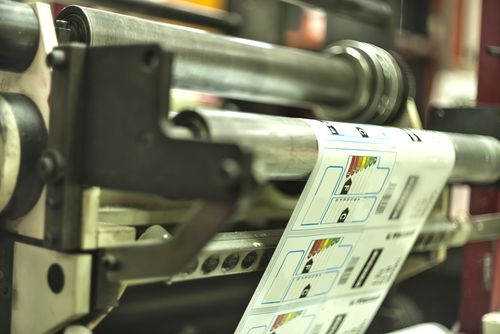 These opportunities require the printing of serialized tags at scale, primarily available through the new industrial digital printing solutions.